If you find an animal in need of help, please call CROW's wildlife hospital at (239) 472-3644, ext. 222 between the hours of 8 a.m. and 5 p.m., 7 days a week. If you are unavailable to bring the animal to CROW on Sanibel, we have convenient drop off locations in Lehigh Acres, Cape Coral and Fort Myers. After business hours, scroll down to see how you can care for the animal until the wildlife hospital opens the following day. If you are unsure how to proceed when you find a baby animal, it is always best to contact a wildlife rehabilitator BEFORE moving the animal. 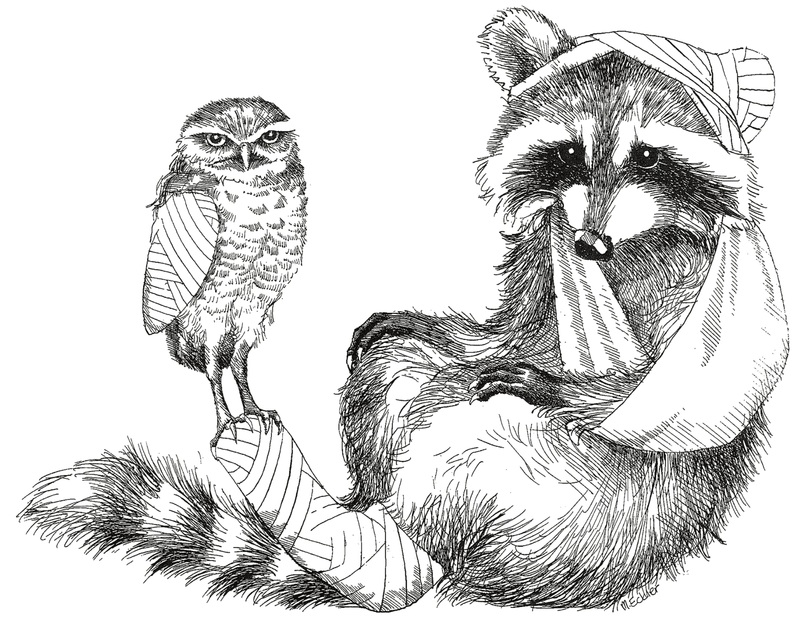 Please remember, you should not automatically pick up or approach injured wildlife. Certain animals should only be handled by experienced rescuers, particularly if they are ill or injured. Disturbing animals could lead to further injury and you could put yourself at risk of bites or attacks, as well. Keep a turtle in a box with a damp towel or rag underneath them to provide some moisture. Please do not put the turtle in water, and do not attempt to repair a broken shell. Keep in a covered, ventilated box or crate. Wild birds injure themselves in birdcages, but cardboard boxes with air holes work very well for them. A towel on the bottom of the box for the bird to stand on is ideal but not necessary. Please resist the temptation to feed baby birds because inexperienced feeding can often have fatal results. Place the babies on a towel or tissue in a well-ventilated, covered box. You can give them a “nest” if you’d like – a small bowl or container with tissues piled inside it. Babies need supplementary heat. It is ideal to use a heating pad: set it to LOW, wrap it in a towel, and place the box on top of it. Alternatively, you can use a hot water bottle, or any water/ soda bottle or zip-lock bag filled with hot water. Wrap your hot-water bottle or bag in a towel and place it next to the babies in their box. Once baby birds are in a dark and quiet area, they will quiet down and go to sleep. Please resist the temptation to feed baby mammals – inexperienced feeding will often have fatal results. Wrap the babies loosely in a fleece blanket or towel and keep them in a well-ventilated, covered box. Babies need supplementary heat – a blanket is NOT enough to keep them warm. It is ideal to use a heating pad: set it to LOW, wrap it in a towel, and place the box on top of it. Alternatively, you can use a hot water bottle, or any regular water/soda bottle or zip-lock bag that is filled with hot water. Wrap your hot-water bottle or bag in a towel and place it next to the babies in their box. It is normal for babies to cry for their mother; this does not mean that they are in danger of starving overnight. They will eventually go to sleep. Keep in an escape-proof box. If possible, place a towel or blanket in the box to keep them comfortable. Please resist the temptation to feed animal. (239) 945-0111 This location only accepts animal drop offs on Saturday and Sunday. Saturday: 7:30 a.m. - 6 p.m. Sunday: 9 a.m. - 3 p.m.
(239) 542-7387 This location only accepts animal drop offs during the weekdays. Monday-Friday: 7:30 a.m. - 6 p.m.